If you've spent any time gaming on Android, you probably remember OpenFeint. Nearly every major game integrated it in some way, usually allowing players to log in with a single username, collect achievements, and post scores to a global leaderboard. It was handy for what it did, but if you didn't care about competing, it felt a lot like obnoxious spamware. Unsurprisingly, it closed down in December of last year. Today, however, it's being sort of reborn as OpenKit, a project headed by one of the co-founders of the original service. Only this time, the idea is much cooler. It's worth pointing out that, contrary to popular belief, Android doesn't actually have this functionality built-in by default. 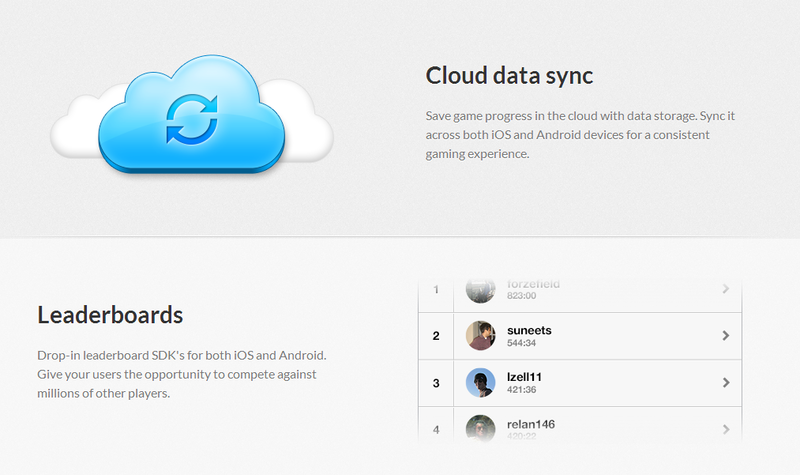 While developers can use backup APIs to save some information, it is not designed for syncing data of saving game states. This is more for keeping a restore point for settings so a user has them when they get a new phone or lose the old one. In other words, there is still a huge need for the kind of system that OpenKit is proposing. In addition, OpenKit would allow developers to include leaderboard and achievement trackers (yes, those will still be around), push notifications, and multiplayer features which, depending on how they're implemented, could be a huge boon for developers. Best of all, the entire thing will be open sourced and if a dev would like to host their own server instead of relying on OpenKit's, they can do that too. Today, the program is opening up to a private beta. Five hundred developers have already signed up in the last month. No word yet on how many of those are invited in, but if you'd like to get in on this, you can sign up here. The main problem with OpenFeint before was not the idea, but rather the intrusive way it went about it. I doubt many people would have a problem with a central login service they can use to track accomplishments so long as it doesn't break into the flow of gameplay, and developers would surely love a way to backup games across all platforms. Here's hoping OpenKit can do better than its predecessor. BURLINGAME, CA--(Marketwire - Feb 1, 2013) - Peter Relan, the co-founder of OpenKit, the first completely open backend-as-a-service (BAAS) platform for mobile developers with a guarantee of no lock-in of developer data, today announced that over five hundred developers have signed up for OpenKit since it was announced last month, and an official private beta program is being kicked off today. Relan created OpenKit in response to GREE closing the OpenFeint™ service (co-founded by Relan in 2008) last month, and a broader need in the industry for an open architecture that gives developers the backend services they need to prosper in the Post-PC era, without getting locked in. Rob Segal, Get Set Games - "Being able to abstract out key components of any project and leverage them for multiple platforms eases many development effort pains. The team at OpenKit understands that and we're looking forward to collaborating with them to realize that focus." Industry-leading iOS and Android developers have thrown their weight behind OpenKit including Pascal Bestebroer of Orange Pixel, John O'Reilly & Greg Harding of Flightless Ltd, Davide Pasca of Oyatsukai Games, Warner Skoch of Vertex Blaster, Manuel Martínez-Almeida of ForzeField Studios, Jason Tartaglia of Around the Clock Games, Lachlan Laycock of Pre Play Sports, Darren Sillett of Mighty Mighty Good Games, Richard Weeks of Total Monkery, and Laurent Mascherpa of Massive Finger. "On December 13, we announced the OpenKit project to solve the recurring problem in 2012 of developer furor over APIs. Hundreds of developers signed up immediately to tell us what they wanted," said Relan. 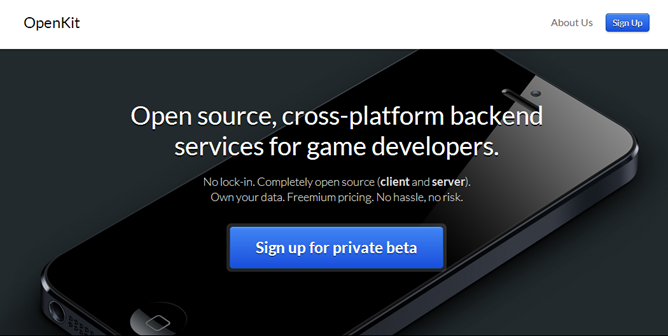 "Today we are unveiling the momentum of support behind OpenKit, with the goal of providing all important mobile back-end services for mobile game developers. Even iOS developer who have access to GameCenter services today, recognize the importance of cross platform development for Android, and have come to us in large numbers asking for OpenKit. There is a reason: OpenKit is a single API and service across iOS and Android." Unlike OpenFeint, OpenKit is not intended to be a user network: developers can take their user data and OpenKit source code and host their own backend service. OpenKit will provide a universal authorization service for any user network including Facebook, Game Center, Twitter, Google+, GREE, etc.